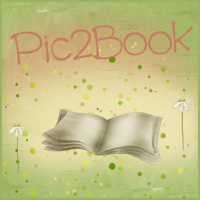 Bookittyblog YA Book Reviews: The Mark of Athena by Rick Riordan Review & Giveaway! The Mark of Athena by Rick Riordan Review & Giveaway! I'm kind of surprised that haven't gotten tired of these characters. At least tired of Percy and Annabeth. I just love them so much. This series is very close to my heart. I always thought that I was helpless when it came to Greek Mythology. It always fascinated me but before these books I had a hard time remembering names and places. But Rick Riordan makes you want to learn more. When I read the books, I take twice as long to read them because I'm always googling gods, demigods etc. He takes Greek Mythology and blends it with modern twists, and the result is awesomeness. 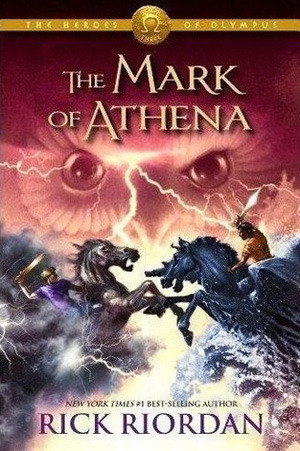 The Mark of Athena, like the previous books in the series, was amazing. We have different narrators, and despite popular belief it wasn't hard to follow. Each character has an unique voice, so it was always easy to tell who was narrating when. I also love that each character had its time to shine (except for poor Frank). I also like how the challenges or mini quests were sprinkled throughout the book. Their adventures were so entertaining, at the expense of our poor heroes, but it wouldn't be a Riordan book without a little bit of suffering. I can't wait to read the next book which is out thank goodness! I don't think I would be able to wait a whole year to continue this series! I'm giving away 1 clip necklace and 2 Heroes of Olympus pin badge buttons! 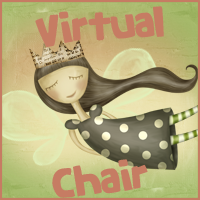 This giveaway is INT'l and ends 2/6/14. To enter just fill out the Rafflecopter form below. Good luck! Hahaha! I love that Johnny Depp as Jack Sparrow GIF you've used. I must admit that I've never read a Rick Riordan book before... *hangs head in shame* But this sounds very interesting and your awesome review has me intrigued. Thanks for the giveaway! I have the first two books of this series and now just need to make the time to read them! Yes! If you are a Percy Jackson fan you are going to love this series! I promise! No don't run away! Lol! Yes, I don't know how Riordan does it but these books are all fantastic! The gif is hilarious! I have a camp-half blood shirt the button would look awesome with it! I have the PJ box set, waiting for the last HoO book to be out in paper back and get the box set of that. I just love this series, especially Percy, he's my favorite, then Thalia. Gif is hilarious and I shouldn't have laughed like I did, but I'm putting off. seeing how it's early in the morning and I just woke up after a long nap. Thank you for the giveaway. So I haven't entered a giveaway in eons but I've entered because this is my fav series in the world and I completely agree with everything you said there! I saw this giveaway and my best friend absolutely loves anything PJO so I'm hoping to win this for her! I love this series SO much! It will always be one of my favorites. Uncle Rick is my idol!